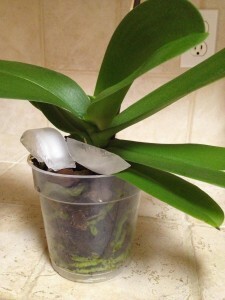 Watering Orchids with Ice: Big Mistake? “This is a pic of my just add ice orchid. a week. Is that ok? This is a great topic to cover this week! The all-important ICE question! I often receive emails from readers asking for more information on their “Ice Orchids”. Truth is, there is no such thing as an “Ice Orchid”. All orchids sold as “Ice Orchids” are really nothing more than regular Phalaenopsis Orchids, most of which are sold as NOID (No Identification). Shocking right? If you’ve read my book or taken part in the Phalaenopsis Master Class, you’ll know that I do not recommend watering your orchids with ice cubes. There are a number of reasons why I think watering your orchids with ice can do more harm than good (and I’ll get to them in just a minute). This having been said, I hear from a number of readers each month that have had great success from this technique.  As I always say, there are no hard rules to abide by when it comes to orchid care. So if your orchids are happy and healthy with their watering schedule of 3 ice cubes a week, then by all means continue doing what you are doing! But for most people? 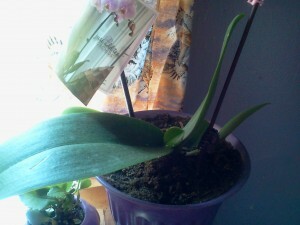 If your orchid hasn’t felt the effects already… Eventually, it will.